Festo's ELGS Timing Belt and Screw Driven Actuators- Compact and Precise - Allied Automation, Inc. 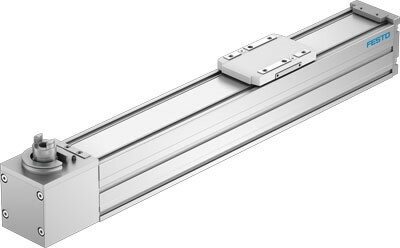 The ELGC timing belt and ELGC screw driven actuators from Festo address the need for a compact and precise electric actuator with protection against debris at a cost effective price. Available with Festo’s motors and drives as part of a complete package or available with motor mounts and couplings that will adapt to most industry standard motors, Festo’s flexibility allows you to use your motion controller of choice. As the demand for quicker turnaround on new production equipment has increased, Festo stocks most actuators for immediate delivery. Let Allied Automation take the burden for selecting and designing your motion control systems. Contact us to “move” your automation projects along faster and easier.